Since its founding in 1977, MGA’s goal has been focused on providing superior products and services to our valued customers. This is achieved by constantly evaluating industry and customer needs and ensuring that our offerings address those needs. MGA Research Corporation has a history in which all associates take pride. Although the official founding occurred during the infamous “Blizzard of ‘77” in western New York, the roots of MGA really date back to the careers of the MGA founders. The story behind MGA begins in the 1960’s and early 1970’s. At this time, the three founders, Patrick Miller, Jim Greene, and Rudy Arendt (the “M”, “G”, and “A”), all worked at Cornel l Aeronautical Laboratory (which later became Calspan Corporation). During the fifties and sixties, Cornell Aeronautical Laboratory was one of the leading independent organizations in the emerging field of highway safety. Work on projects such as the Cornell/Liberty Mutual Safety Vehicle, which is on display at the Henry Ford Museum in Dearborn, was representative of the research taking place at Cornell during this period. The areas of interest to each of these individuals set the stage for their roles at MGA. Pat Miller received his Ph.D. in Applied Mechanics from Michigan State University. At Calspan, he was the Assistant Department Head for Transportation Safety Research. One of his more important projects was the Research Safety Vehicle (or RSV). 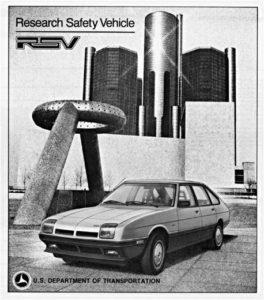 The development of this vehicle was sponsored by the Department of Transportation and was a joint activity between Calspan and Chrysler Corporation. The vehicle was designed with many of the safety features commonly seen in today’s vehicles, including crush zones, advanced braking systems, automatic restraints and airbags. Rudy Arendt obtained his degree in Electrical Engineering from Rensselaer Polytechnic Institute. Rudy’s main area of expertise dealt with instrumentation and test systems. One of his major achievements was the installation and commissioning of a full-scale crash test facility. This facility is still in operation at Calspan. Jim Greene completed an M.S. degree in Mechanical Engineering from the State University of New York at Buffalo and was involved in various crashworthiness research studies being conducted at Calspan. These three individuals were the founders and first associates of MGA. The company began with an initial investment of $1,000 and operated out of 900 square feet of leased office space located near the Buffalo International Airport. As the company grew, more associates were hired. In 1979, one of the founders, Jim Greene, left to pursue other interests. At that time, Pat and Rudy purchased Jim’s financial interest in the company. Starting with the first few years, a pattern of business expansion and re-investment in the company was established. The first facility investment was the purchase of a copy machine. This event is considered significant, it established the principle of purchasing equipment to provide highly competitive services. This principle is evident throughout the organization today as shown by the vast array of test systems and other facilities owned by the company. In 1980, a significant decision was made to move the company from leased office space to a location which had both office and laboratory areas. The new facility was part of a larger building that consisted of a total of 5,000 square feet. At this time, a move was made into the testing services area. Among the first services provided were vibration and shock testing. One of the first customers was the National Highway Traffic Safety Administration (NHTSA) who wanted to conduct auto safety structural testing to determine compliance to the requirements of the Federal Motor Vehicle Safety Standards (FMVSS) 207 and 210. The machine used to conduct the FMVSS 207/210 testing was designed and fabricated in-house and the project with NHTSA started a relationship which is to this today still very strong. The last half of the eighties was a period of rapid change. There was a movement by the company towards the expansion of facilities and the development of an international customer base. Although Pat and Rudy did not have a carefully orchestrated business plan, they did adhere to the fundamental principles which were established early on in the company. During the mid-eighties, the development of an international customer base began with testing for various Korean auto manufacturers. These Korean manufacturers were in need of test and analysis services, equipment, and training. Both Pat and Rudy traveled to Korea several times and started to build relationships with numerous Korean engineers. In addition, the company began installing safety test systems in Korea. Today, a strong MGA presence exists in the Korean automobile test market and many of the relationships that were developed during the eighties are still going strong today. ructural testing. The facility included roof crush, side door crush, seat and seat belt anchorage test systems, as well as a full vehicle static crush test machine. All of the structural test equipment was developed by MGA and the purpose of the laboratory was two-fold; to provide testing services to the industry, and to serve as an evaluator for new equipment designs. The use of testing laboratories as an “internal proving grounds” for new equipment designs is another fundamental principle of the company that has been practiced for many years. One of the more important projects conducted during the mid-eighties was for the Motor Vehicle Manufacturer’s Association (MVMA), which later became the American Automobile Manufacturer’s Association (AAMA). The project was directed towards the development of test procedures related to what is now FMVSS 214D – Side Impact Protection. The test plan included a series of FMVSS 214 crash tests, but at this time the company did not have either crash or sled testing facilities. As a result these tests were done on a sub-contractor basis at another facility. Based upon this and other potential projects, a decision was made to provide both crash and sled testing services to the industry. In 1987, Chrysler Corporation bought the automaker American Motors Company (AMC). 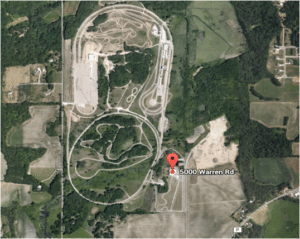 Soon after, Chrysler closed the former AMC Proving Grounds and put the facility up for sale. The Proving Grounds were situated on 400 acres and included an entire test track and an indoor crash test facility. After months of negotiation, MGA purchased the facility from Chrysler in October 1988. The first goal after purchasing the Proving Grounds was to bring the crash facility back on-line. Associates from New York spent the first few months in Wisconsin working on the new facility. By the end of 1988, limited crash tests were being conducted and an accelerator sled was added. Presently, the entire staff at the Proving Grounds is all from Wisconsin. In fact, all MGA facilities are still fully operated by local people. This has resulted in each of the facilities having a culture which is partially influenced by local traditions with strong ties to surrounding communities. As the eighties came to a close, the company was establishing a strong reputation in the transportation safety field. With the addition of the Proving Grounds and the development of the Fabrication Center, MGA was a very different company than what was started ten years earlier. The momentum gained in the late eighties in the area of safety testing services and equipment continued into the next decade. At this point MGA was expanding into non-safety related automotive testing such as durability and other quality related issues. A stronger presence was developed in the Detroit area through the opening of a test laboratory in Madison Heights, Michigan in August 1992. 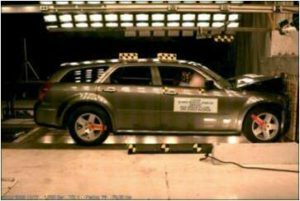 The initial services offered included safety related structural testing such as full vehicle crush testing and seat belt anchorage testing. The organization in Michigan grew from just sales and marketing group to a technical staff offering many types of services housed in a 170,000 sq. foot laboratory. Today, a full range of component-level testing services including static, dynamic, durability, vibration, and accelerator sled testing is offered at our test laboratory located in Troy, Michigan. The nineties also marked the start of more traditional vehicle development work at the Proving Grounds. Test services such as mileage accumulation, durability testing, brake testing, and vehicle dynamics evaluation rounded out the MGA offerings. One of the first major projects dealt with the development of drive line and chassis systems for a sport utility vehicle. This project consisted of various full-scale durability tests, ride and handling analysis, and other quality related tests. Meanwhile, the crash and sled testing services provided out of the Proving Grounds continued to expand. During this time, a wide range of crash test procedures were developed and equipment was installed to conduct sled testing on aircraft seats. This resulted in an entirely new customer base comprised of aircraft manufacturers and suppliers. The Fabrication Center was also diversifying into different types of equipment. One of the new equipment items was an accelerator sled, which was first installed at the test laboratories in Michigan. The Fabrication Center also took the lead on developing novel test equipment for recent safety standards such as FMVSS 226, rollover crash solutions, and a number of innovative products related to sled testing. Today, the Fabrication Center serves a worldwide customer base with a diverse range of products related to durability, safety, and quality related issues. Today, the Wisconsin Operation is widely recognized as the world leading, independent organization specializing in vehicle safety. In 2014, our third full scale crash facility, all located on the 400 acre grounds, was commissioned. In July 2017, the Wisconsin operations suffered a flood to the original crash site and main crash operation. Within several days, all operations were consolidated to the other crash labs onsite. Within one month, plans for an additional 45,000 sq. ft vehicle preparation, covered runways, and customer facilities were completed. Within 2 months construction had started, and in June 2018 this fully indoor facility was re-dedicated as our Vehicle Safety Center. During the 2017 timeframe, vehicle crash testing was also expanded to our Alabama location. Together with the Wisconsin operations, MGA today is able to offer an industry crash capacity of 1200+ annual tests. The crash facilities at MGA feature many unique and innovative approaches that are vital to the crashworthiness development of a vehicle. These approaches relate to issues pertaining to rollover, specialized frontal/side impact modes, airbag sensor development, and global regulations. The last 10 years have seen MGA grow along with our customers. 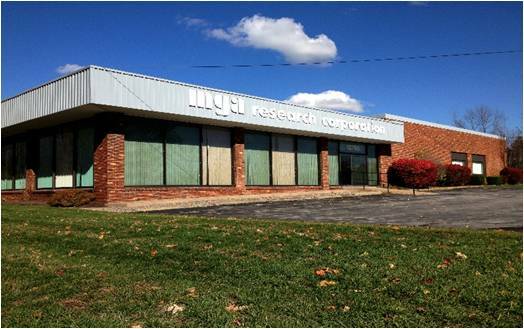 MGA laboratories have been established in many North American locations that are strategic to many of our customers. Since 2009, MGA labs have been commissioned in South Carolina, Virginia, Canada, Texas, and Alabama. These labs are located close to various OEM, supplier, or other clusters that support specific industries. In 2016, we opened our first Asian laboratory near Shanghai, China to help support our customer base as they also expand to the largest automotive market in the world. Along with the geographic growth, MGA has also greatly expanded the capabilities and facilities in many of the existing locations. The South Carolina operations added 36,000 sq.ft in 2016 to meet the needs of the local industries and our Fabrication Center completed a 40,000 sq.ft operation in 2018. The updated Fabrication helps support the increase of global sales of the MGA brand of test systems and facilities as well as supporting the expansion of the MGA labs and needs for innovation. As electric and hybrid vehicle sales have increased, so have needs for battery development. To respond this this, MGA has expanded our Battery testing capabilities, facilities, and expertise, originally focused on medical and consumer device batteries, we have constructed new testing laboratories in our New York and Wisconsin locations to respond to the needs of the automotive industry to develop cells, modules, and full scale battery packs. Today, MGA is recognized worldwide as one of the leading independent providers of testing services and equipment. Our traditions of improving and expanding our line of products and services will carry on into the future as we continually offer our customers with the very best in testing technologies and customer service. MGA’s goal has always been to provide customers with superior testing capabilities matched with unbeatable service through constantly evaluating industry trends and customer needs. As the future of transportation changes with additional vehicle sensors, active safety, and autonomous technology, the associates at MGA are eager to build on our past history and are excited about meeting the challenges of the future.